Some believe that culture is important to preserve the identities from various ethnic communities, while others argue that cultural preservation is an outdated aim that we should forgot. The Great Wall of China, Taj Mahal, Mont Saint Michel and Chichen Itza. What these things have in common are that they are all cultural and heritage sites that are being preserved by their respective countries. Cultural and heritage sites have cultural, scientific or sentimental values that is legally protected by national treaties. However, there are ongoing debates on whether cultural and heritage sites have lost their relevance. Modernist believes that the relevance of these sites may have lost due to the widespread impacts of modernisation such that many do not recognise the value of these sites. Hence, making it meaningless to hold on to the cultural and heritage sites. On the other hand, there are those who disagree with this viewpoint, as there were continual efforts to sustain the relevance of cultural and heritage sites due its benefits it can bring. Given these polarising perspectives, this essay is more inclined to the view that cultural and heritage sites have not lost their relevance. Cultural and heritage sites seem to have lost their economic relevance as the push for modernisation has placed much emphasis on economic prosperity and development over the intangible value of cultural preservation. As such, the conservation of cultural and heritage sites will mean the lost in opportunity to improve further the economy of the country. Therefore with the focus of a country is to have a good economy to ensure the livelihood of its people, cultural and heritage sites may have lost their relevance if it does not bring any economic benefits. For example, given Singapore's recurrent problem of land scarcity, there is tight regulation by the local authorities to decide the purpose of land allocation for different purposes be it commercial or residential as every land I available can be of importance to help create a hub that will help improve the economy of Singapore. In spite of the fast-paced modernisation, the relevance of cultural and heritage sites did not diminish accordingly from the economic perspective. The unique cultural, scientific or sentimental values they bring can help to increase tourist in the country which will help bring more economic activities to the country. For instance, Greece a country that has many cultural and heritage sites, tourism is seen as their lifejacket as tourism is Greece's biggest foreign earner, the mainstay of an economy that has otherwise contracted by 27% since late 2009. As such, cultural and heritage sites can still be relevant in helping to propel the economy of a country as they are not something that is available in every country since each country has they're own unique cultural and heritage sites which will make them a tourist attraction. From a historical perspective, cultural and heritage sites have lost their relevance as these sites hold memories of the past that may not hold any meaning in the present or future. As a result, the sites may end up being just unnecessary buildings that does not bring any value to anyone. Furthermore, if the memories the cultural and heritage sites hold negative memories to sites, it will only result in people getting consistently reminded of bad memories which does not bring any benefits to the country or its people. Therefore, such historical sites have lost their relevance as they can be deemed a thing of the past that does not belong in the present or future. However, even if cultural and heritage sites are a thing of the past they can be of relevance as they create awareness about the cultural values the site brings. Moreover, the sites will allow us to understand more about the events that happened in the past and learn from the positive and negative impacts these sites have brought. Thus, every historical site has an important story to tell and these stories have inspired many people to strengthen their convictions and commitment to fight injustice and oppression. For instance, Kranji Memorial Landmark honours the men and women from Britain, Australia, Canada, Sri Lanka, India, Malaya, the Netherlands and New Zealand who died in the line of duty during World War II. This will remind us about the devastation war can bring and how we should do everything to avoid letting war be an option to resolve conflict. Hence, cultural and heritage sites can be of relevance to help educate and not repeat the same mistakes of the past. Lastly from a social perspective, cultural and heritage have not lost its relevance as the preservation of these sites can bring about a sense of belonging of an individual in a society. The cultural sites can help individuals learn more and have a sense of pride about their culture such that it is what that keeps us attached to our religion, traditions, and beliefs. The sense of identity that is gained from heritage sites not only will help to explain to others your identity but will help to understand yourself better. This intimate knowledge of self can lead you down the road of your ancestry's mistakes or to their great exploits. For instance, the Sri Mariamman Temple, built in 1827 for worship by immigrants from South India, this is the island&rsquo;s oldest Hindu temple. 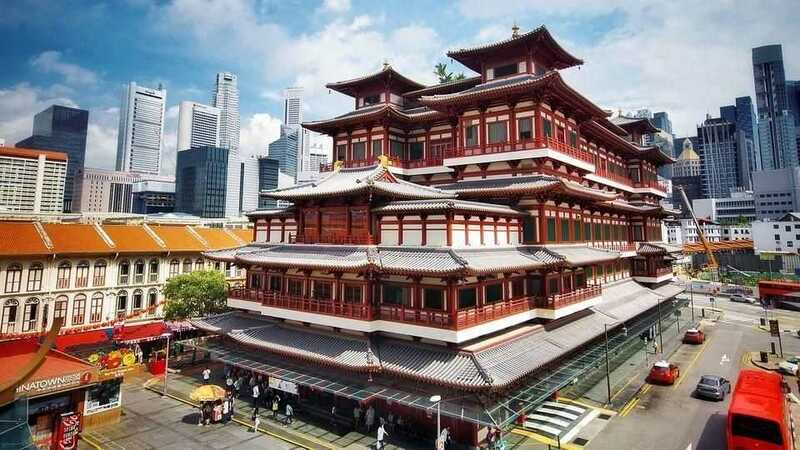 Located in the heart of Chinatown, the temple boasts an ornamental tower entrance that's a true Singapore landmark. Such landmark can give Hindu a sense of pride knowing that the temple still remains even after more than 100 years. Furthermore, a landmark will help people want to understand more about Hinduism and the values they bring. Therefore, cultural and heritage sites have not lost its relevance due to the social significance it can bring. In conclusion, even in the modern era, cultural and heritage are still relevant in due the various benefits they bring about to the country and society. Hence, there may be a need to make these sites more exciting in order for the younger generation to notice and reap benefits from it.